Robert Bartneck was born in Hannover Germany. He studied at the University of Music and Performing Arts in Graz (Austria) where he began his vocal studies with Professor Ulf Bästlein and continued to work with Professor Elisabeth Batrice. Additionally, he attended masterclasses with Brigitte Fassbaender, Kurt Equiluz, Angelika Kirschlager and Lied-Accompanist Charles Spencer. Highlights from his engagements consist of appearing at the opera house in Graz, appearing at the theatre in Magdeburg (Germany) and performing the "Musikverein für Steiermark" (Austria) where he sang with the Vienna Radiosymphony Orchestra. Robert Bartneck performed numerous roles including Ferrando in »Così fan tutte«, Fenton in »Die lustigen Weiber von Windsor«, Basilio in »Le Nozze di Figaro«, Brighella in »Ariadne auf Naxos« and Frederick in »The Pirates of Penzance«. 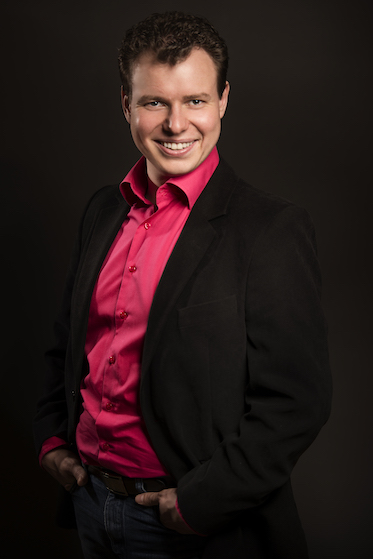 Currently, the young tenor has an active engagement with the "Meininger Staatstheater" in Germany. Additionally, Robert Bartneck sang at music festivals such as "Zagreb Classic open air" and "Steirische philharmonische Klänge" where he shared the stage with the Baroque Ensemble of the Vienna Philharmonics. His concert repertoire includes the most important oratorio compositions of Bach, Haydns »Schöpfung«, Mozarts »Requiem«, and numerous other works. He recently performed live on air with Händels »Messiah« with the Radiosymphonychoir- and orchestra of Croatia. All in all, numerous performances and engagements have brought him to many stages around Europe including Germany, Austria, Hungary, Croatia, Czech, and Greece. Last but not least, he has also performed in China.